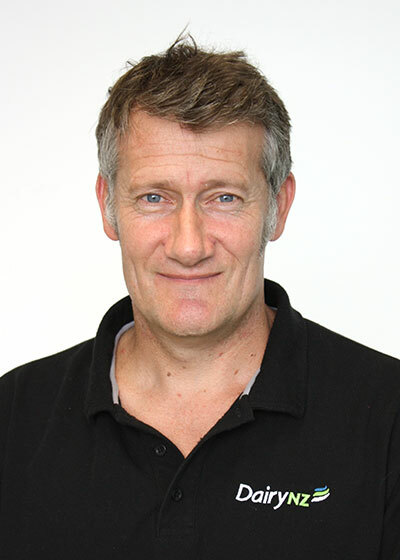 In the final of our profiles on DairyNZ’s three regional ‘Hubs’, we talk to our South Island Hub leader Tony Finch about his team’s focus on the needs of dairy farmers specific to their region. South Island Hub leader, Tony Finch. The whole of the South Island: Top of the South, West Coast, Canterbury North Otago and Southland South Otago. We have our ‘Hub’ office based at Lincoln near Christchurch, plus offices in Invercargill, Greymouth and Timaru. What roles are in your team? Excluding myself, we have 17 consulting officers (two are regional team leaders for Canterbury and Southland), three events and administration staff, a farm business management specialist and three Dairy Connect coordinators, plus animal husbandry, policy, and regional catchment specialists. We work closely with other regionally based DairyNZ people and also have dedicated staff supporting the Mycoplasma bovis (M. bovis) response throughout the south. Has your team changed its structure or priorities recently? Under DairyNZ’s new national three-Hub regional structure, we’ve increased our contact with farmers and the importance of talking to them directly, especially face-to-face. It’s a challenge in some more isolated, less populated areas where the tyranny of distance can get in the way of meeting farmers’ expectations – we’re doing our best to address that. What regional problems are you trying to solve? South Island dairy farmers have told us their main concerns are ‘people’ and ‘the environment’, so our regional priorities reflect that. They link to a range of projects, including our sustainability projects within Selwyn and Hinds (Canterbury) and Aparima (Southland). Both are community projects working with a number of dairy farmers to help them meet environmental regulations. Another project rolling out over three years is Attracting and maintaining a skilled workforce in Canterbury and Southland. DairyNZ’s People Team is supporting us on this (see Inside Dairy, December 2018, pages 10 to 11). We’re also keen to find innovative ways to raise people’s awareness of dairying as an attractive career opportunity (especially among young ‘career-changers’). What recent achievements are you proud of? We have done an outstanding job of working and helping farmers through the difficult challenges of M. bovis – our team has worked tirelessly around that. We’re also connecting with more farmers now and they’re acknowledging that. Overall, we have a diverse collection of people within our team with strong dairy backgrounds. They are all very passionate and empathetic about the industry and helping farmers. Hub leader Tony Finch (second from right) says farmers are acknowledging his SI regional team’s increased connection with them, despite the region’s ‘tyranny of distance’. 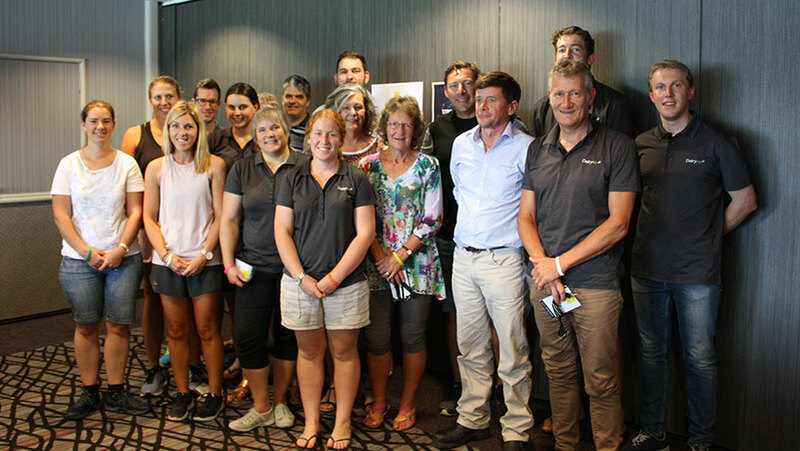 The DairyNZ regional teams work in the field with farmers to help them become more successful. Find contact details for your local teams here. Want to read more online articles from Inside Dairy March 2019? Click here.